Categories: 0…20 mA, 1 channel, 2 channels, 2,5 kV, 600 VAC/DC, Compact, Input signal, No. 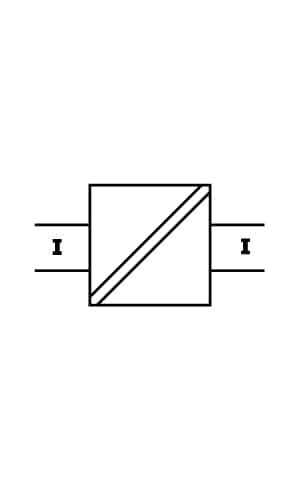 Of Channels, Passive, Type of isolator, Isolators, No, Isolators. 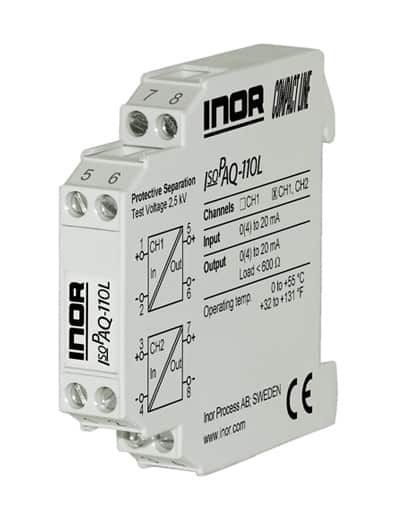 IsoPAQ-110L is a loop powered isolator, available in 1- and 2-channel versions. It is used for electrical isolation of 0(4)-20 mA signals to avoid measurement errors due to different voltage potentials or ground loops in an instrument installation. The 2-channel version, IsoPAQ-110L offers a very cost effective alternative combined with a high-density mounting. The isolator need no power supply, which contributes to reduced installation costs compared to Isolation Transmitters.